There are many themes that you can incorporate into your home whenever you’re decorating it. One of the most fun themes that you can do with interior decorating is to have an Asian themed house. This can be relatively simple to achieve as long as you have a few key elements, then you’ll be completely immerse in whatever culture you choose to emulate. For now, let’s focus on Japanese style. When it comes to using all the fantastic items that you’ve for this decorating party, then all you really need to do is coordinate them together. Use the paper screens to your advantage; partition them off to create separate quarters in any of your living spaces. 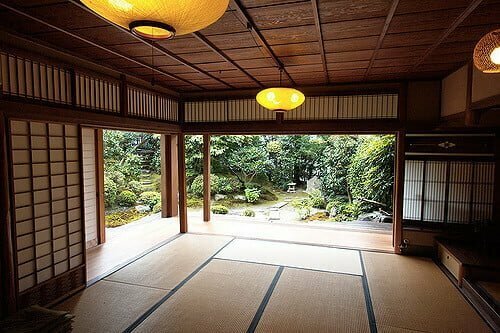 This not only adds more “rooms” to small areas, but it also gives the illusion of having rice paper walls just like in Japanese style homes. While you don’t have to necessarily sleep on these, it would be a great idea to get some bamboo floor mats. These could be fun to use as a type of hallway rug or centerpiece in the middle of a floored area. Another fun option to incorporate is to use paper lanterns. They can be used outside during the warmer months of the year or inside depending on which area you’re decorating. What’s fun about using them outside is the beautiful glow that they give off instead of a straight lamp. When it comes to decorating using foliage, the best route to go is using something like a bonsai tree. They come in all shapes and sizes, so depending on the area, you can have something as large as a chair or something as small and a breadbox. Make sure to search around and see what fits your space best. One final touch to make it completely Japanese themed is to take pictures of calligraphy and place it on your walls. They can come in different forms; posters, scrolls, and even taking it a step further, painting it on the wall yourself. So there you have it! This are just a couple ideas to get you started to have your very own Asian inspired house. One way to finish off the look is to store everything you need on some folding shelf brackets, they come in a compact design and can hide away anything that you have that isn’t really in theme with the rest of what you’ve created. Let us know how your decorating adventures go in the comments below!